A 10-minute cancer test which can be taken at home using just a drop of saliva is being developed by scientists. 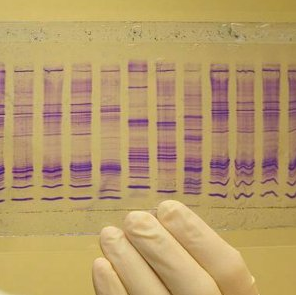 David Wong, a professor of oncology at California State University says it is possible to detect tumour DNA when is it circulating in bodily fluids – an approach known as a liquid biopsy. The saliva test is 100 per cent accurate and is so simple that it could be carried out at a pharmacist, the dentist or even in the privacy of someone’s own home if they were concerned, he said. Currently scientists can only use blood tests to detect cancer if they have already taken a biopsy and sequenced a tumour, so they know which genetic signature to look for. Although this can be used to monitor cancer spread it cannot be used for an initial test. And it can throw up false positive. Professor Wong’s tests have shown that just a single drop of saliva contains enough data to give a definitive diagnosisas soon as a tumour develops, he said. The test is non-invasive and cheap, costing around just £15. It is due to enter full clinical trials in lung cancer patients later this year, and is expecting approval within two years from the Food and Drug Administration in America. He is hoping it will be available in Britain by the end of the decade, and believes it could be useful for many other cancers, such as oral cancer. “If there is circulating signature of a tumour in a person blood or saliva, this test will find it,” Professor Wong told the American Association for the Advancement of Science annual meeting in Washington.